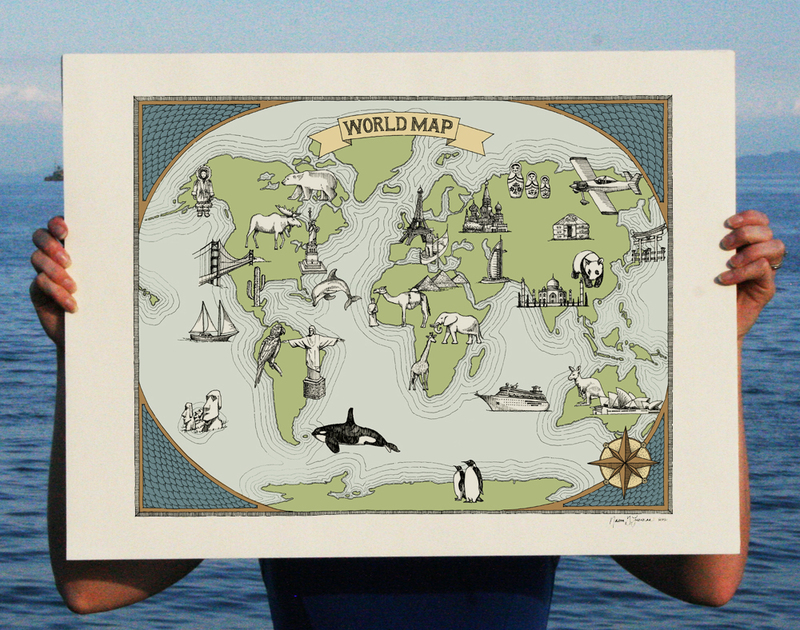 Hang this whimsical illustrated map of the world in your child’s room to inspire them to dream of adventures around the world! This 18x24” print makes a great baby shower gift or birthday present. Looks great in a nursery, kid’s room, or play room. The colors of the print can be customized to match your décor. Also available in black and white. 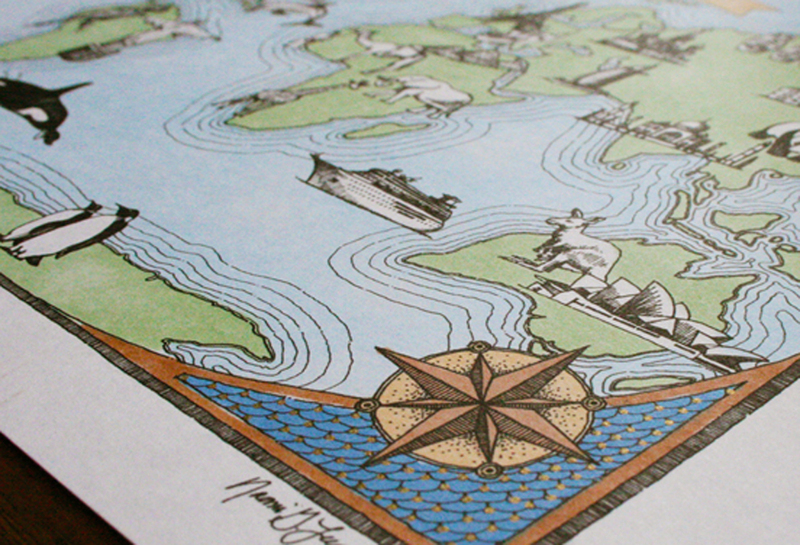 Printed on high quality, 100% cotton-rag, archival quality, and acid free white paper. Total size is 18x24”.